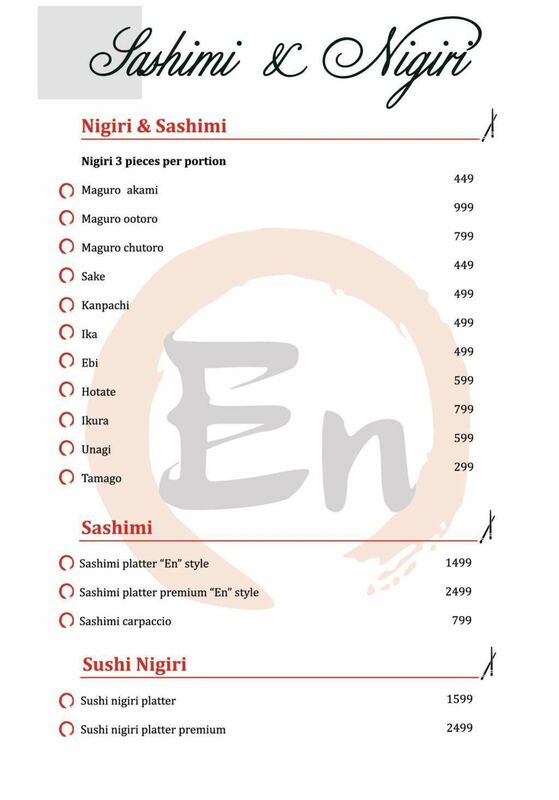 Even though it’s the sushi you think you’re going for, most of the food at En is exceptional. Start your meal with the 'Miso Bonito Soup' and make your way through the salads especially the 'Chirashi Seafood' Salad' with salmon and tuna in a yuzu dressing. The spicy 'Chicken Wings' are also stellar as well as the 'Dashimaki' – the Japanese style omelette The teppanyaki menu is also very good. Opt to eat the 'Japanese style Pork Curry Rice' as well as the 'Salmon'. And, finally get to the 'Sushi and the Tiger Prawn Tempura Roll' and the 'California Roll' as well as the 'Asparagus Tempura Roll'. Outdoor seating makes it amazing during the cooler months. I went there to celebrate our anniversary and the same was mentioned to restaurant folks. However they ensured that they left no stone unturned to ruin our evening. Ultimately we walked away after an hour when no service was given even post numerous follow ups. The staff was not concerned at all. This place needs to be avoided at all cost. There were few other guests who left due to similar experience.PATHETIC place for a visit. Luckily we were able to find another restaurant at walking distance. Food very very good, not only Japanese but other asian cuisines as well. Prime location next to iconic Qutub Minar and a very posh compound. Drinks and mocktails offered are very good. Staff very polite and helpful specially when ordering Japanese food. Tried Sushi both veg and nonveg and was amazing. Being a vegetarian, this review may not be very relevant for Japanese cuisine. We had gone there for the sushi and were not disappointed. The veg Sushi platter was great, the veg tempura was a bit oily, but overall the taste and quality of food was great!! My wife and I sat in the nice open air patio on a full moon night on a weekday with a view of the Qutab Minar which turned out to be the perfect setting!! Located in Ambavati complex where some of the best designers of the country have there showroom and also present are the most celebrated chefs.En serves you the most authentic Japanese food (by far what i have visited till now) over looking the most iconic structure of Indian history "Qutub Minar" and unfinished Alai Minaar. Our server for the night was young and very knowledgable Mr. Gaurav who was very well acquainted with the menu.Despite me being eating Japanese food over the years i still feel like i know nothing about it,My server was very kind and patient who explained me the taste to expect of the dishes i was going to order. We started our dinner with asparagus temp maki rolls which was by far very nicely done sushi followed by agedeshi tofu( this was my second ever tofu) It's Silken firm tofu, cut iinto cubes.I wii will refrain myself from making an expert comment on it but it was too bland, silky and with no flavour but despite having it 2 hours ago i still feel it on my tongue, i am still trying to recollect the taste.We had chicken wings for apetizers, it was sort of nice n nicely grilled and came with first layer of skin of chicken.Our last dish at En was Yaki udon which were flat noodle n was bit on sweet taste n spicy.There sushi chef Rohit and Ravinder were very knowledgable people who explained me the dynamic of rolling a perfect sushi.Go their for authentic Japanese food and great dining with a view to remember.Fine dine.Will go back again to try some more food with my foodie gang. Frankly i had very high expectations from the place, considering the location. But the food was terrible. The sushi did not have the balance of rice and the filling. The chicken wings were so pathetic and there was no meat on it. All bones it was. I wont recommend this place for sure. Almost every dish we ordered wqs average at best. On top of that an authentic japanese place playing english music? ‘En’ at Kalkadas marg, New Delhi is a stunning property mostly for its ambience and also for the food. Owner of the front face of a heritage building the restaurant is truly a beauty with old world walls and a breath-taking view. Its location which is just opposite of Qutub Minar keeps a huge pull for the customers. The restaurant is a big spacious room with wooden flooring and giant doors blending nicely with the outdoors. Décor is kept minimalistic enhancing the simplistic beauty of the surroundings. Plain tasteful chairs are comfortable and compliments the room. There are private rooms and terraces too if you want some privacy or intimacy with your dinner companions. 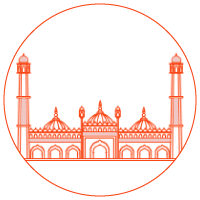 Book a table that has the view of the minar or ask to be seated at the terrace for the ultimate unobstructed view. 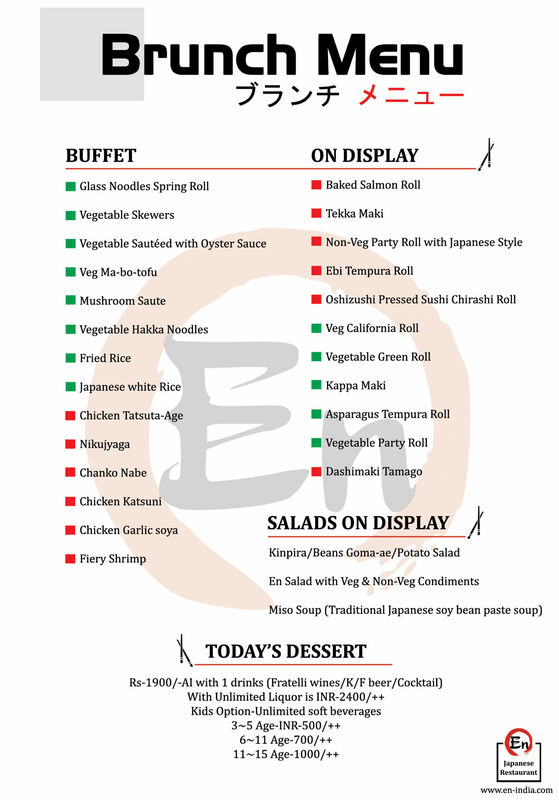 The food which is served at En is Japanese and prepared by a Japanese chef which makes a whole lot of difference. 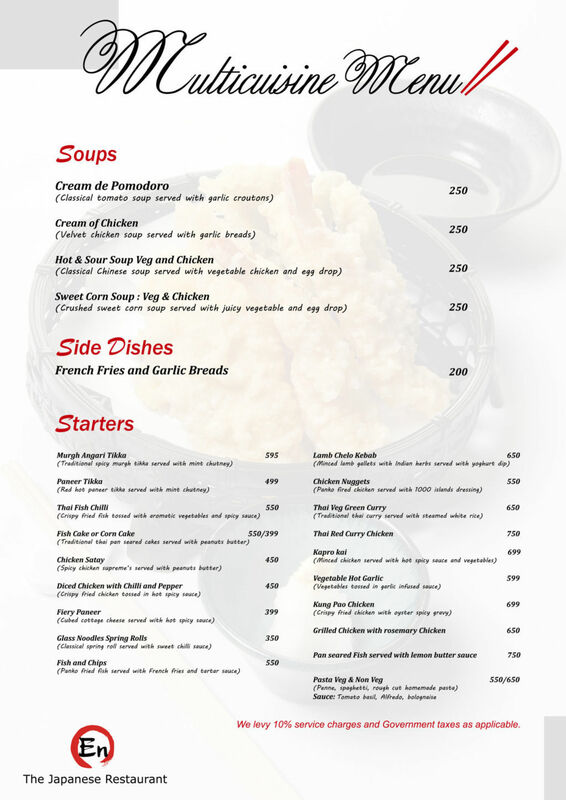 The menu is divided into two sections. One for the locals and other for quintessential Japanese punters. The restaurant is very popular with the Japanese sector of the city looking for a place with authenticity and taste like home. Chicken egg soup, vegetable garlic soup, chicken salad sesami creamy dressing, agedashi tofu, chawanmushi, shitake and vegetable soup, ebi mayo tempura salad and miso soup prawn soup stock are their menu’s first page. Further on is appetizers. Dashimaki, kinpira, vegetable katsu, prawn tempura, tuna tataki, edamame, spicy chicken wing and assorted tempura non-veg are wonderful and makes perfect first course. See the chef’s knife skills with succulent sushi and sashimi. 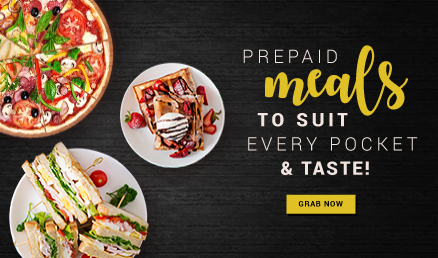 Choose a platter so you can sample everything. Go for rolls and maki too. 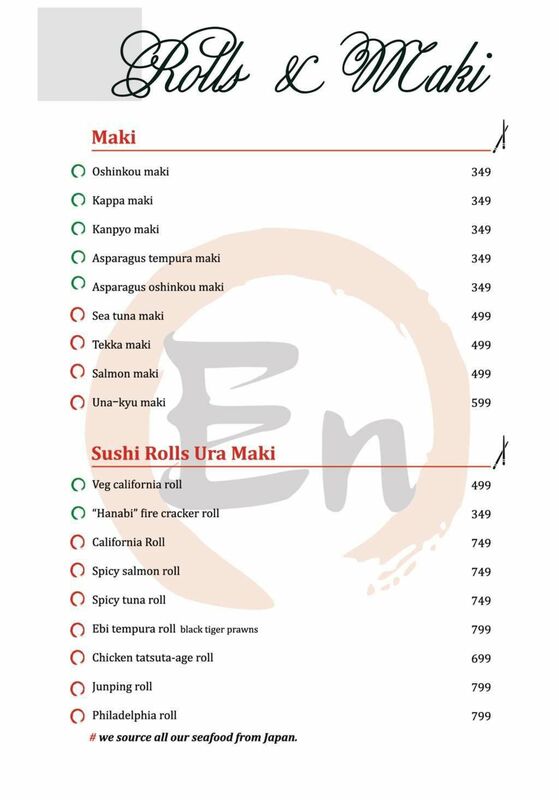 Kappa maki, tiger prawn tempura roll, Philadelphia roll, sea tuna maki are exceptional. Teppanyaki is a popular Japanese cooking form. The chef at En makes it beautifully. 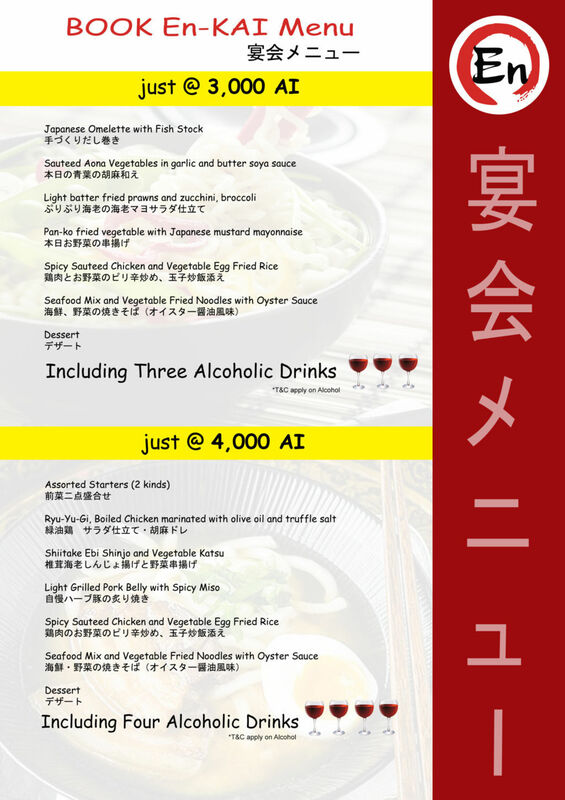 Try fiery prawn, buta-kakuni, tofu saute, sea bass, black cod, prawn & broccoli, chicken & leeks with egg, sautéed aona and tenderloin steak. 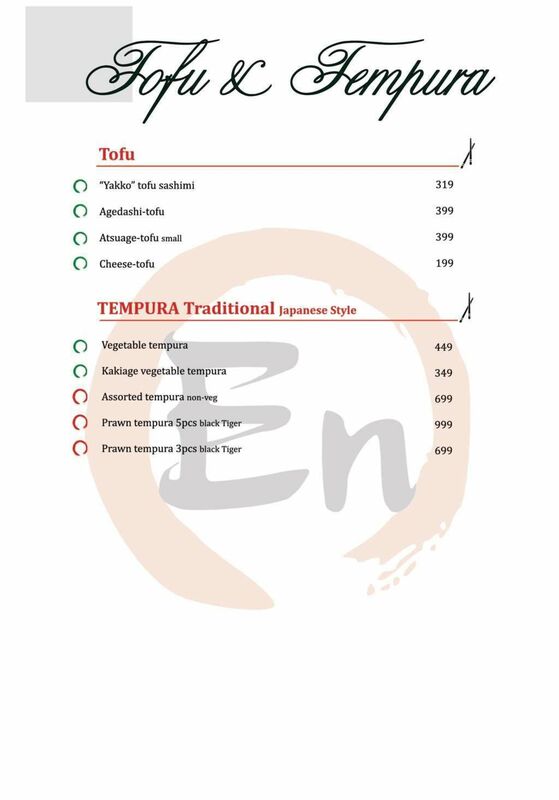 The noodles and rice such as tempura udon, cold soba, egg fried rice, yaki-onigiri, ochazuke and yaki udon are frequently ordered accompaniments too. For desserts En serves chiffon cake, blanc manger, green tea ice cream, gateau chocolate and animitsu which is traditional Japanese dessert. For drinks Japanese tea, black tea and coffee is served. To experience the En you will need five thousand rupees so keep that in mind.